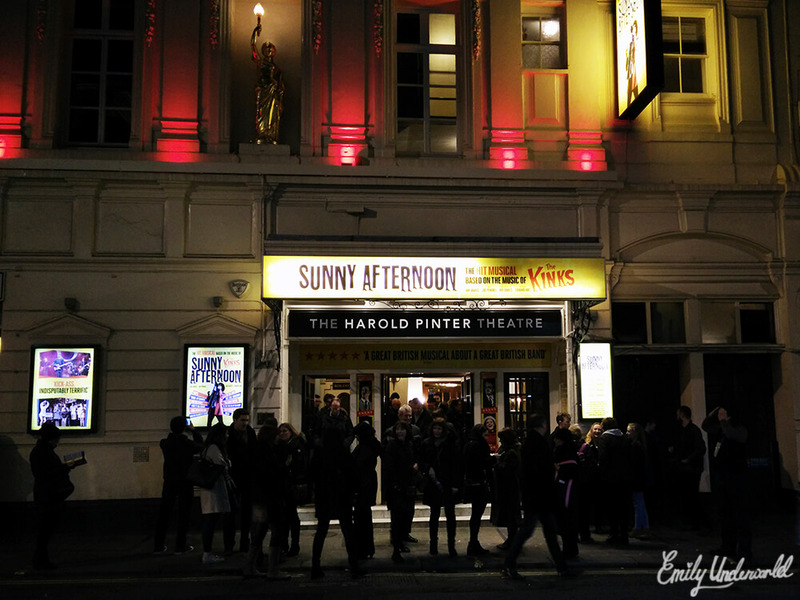 On Tuesday, I was lucky enough to see Sunny Afternoon, the West End musical about The Kinks. 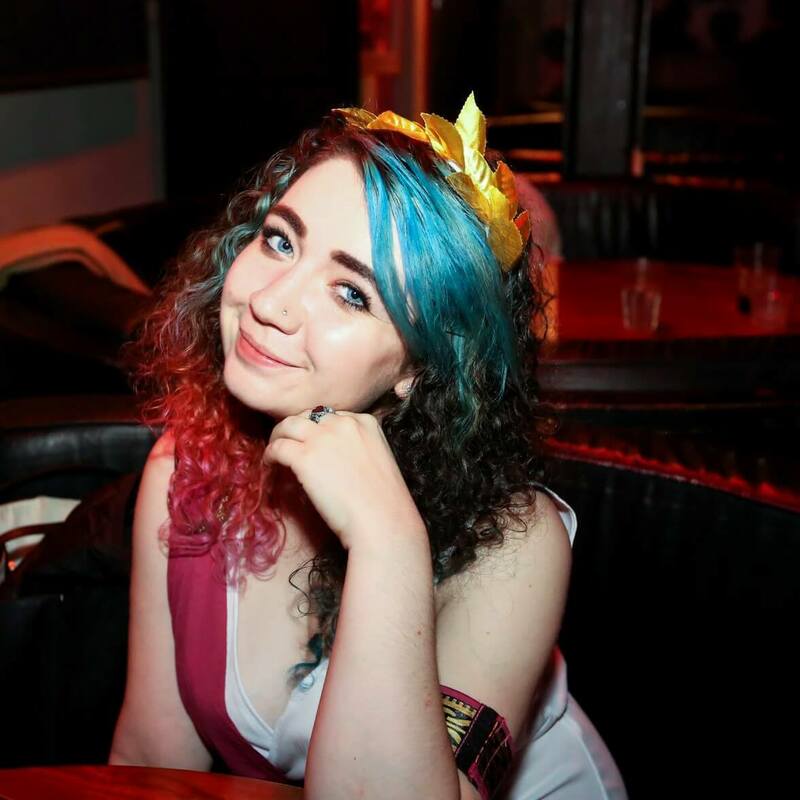 When Box Office UK asked me if I wanted to go to a show of my choice, of course I freaked out because I love musicals and there’s so many I want to see. We both enjoy music by The Kinks, and Sunny Afternoon was pretty much the top of our ‘to-see’ list, so that’s what we picked. 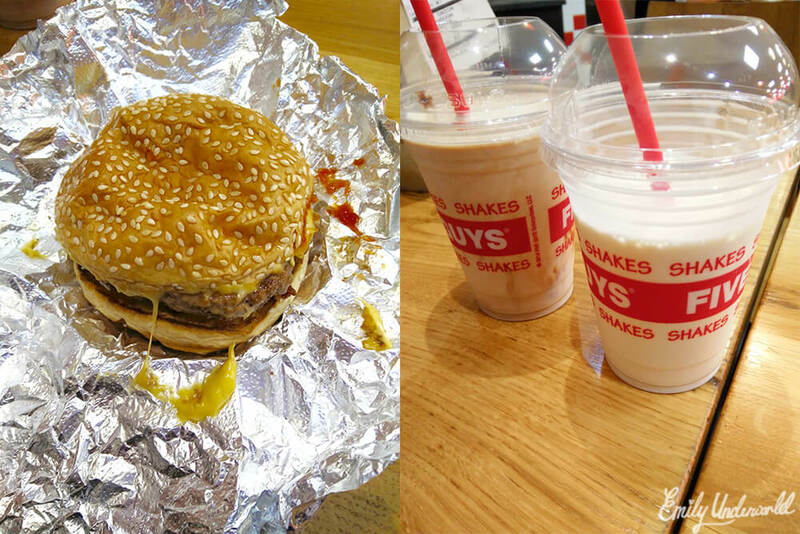 As the Harold Pinter theatre is in Piccadilly Circus, right next to Leicester Square, we couldn’t resist going to Five Guys first. If you haven’t been to Five Guys and you’re in London, go, now! Their burgers and milkshakes are so amazing, literally the best I’ve ever tasted. Our seats were at the back of the Royal Circle, which gave us a pretty decent view. I took a sneaky photo to show you before the show started, which actually makes us look a bit further away than we were. 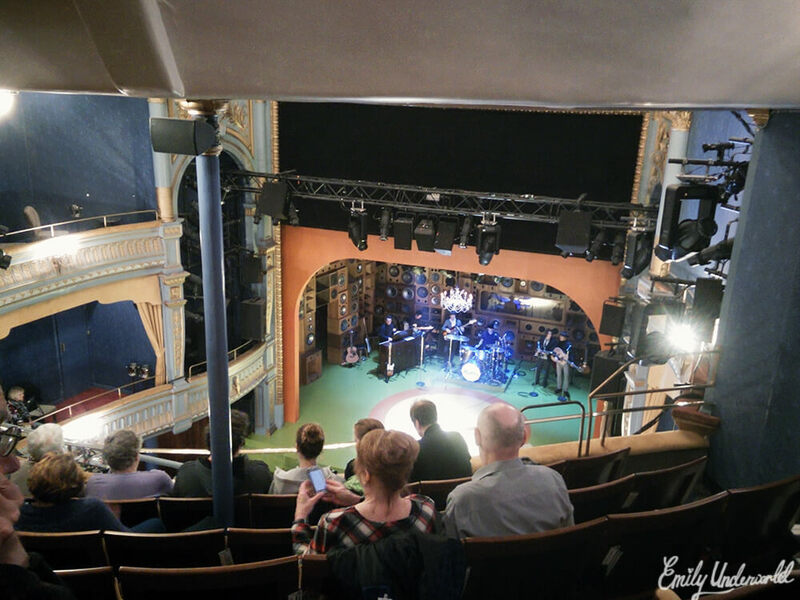 I’m pretty small (5 ft 3″) with quite poor eyesight and I could see everything except when the main characters went right to the front of the stage. I love how they used The Kinks music to create a proper musical, telling the story of how they formed, their career, and personal lives. 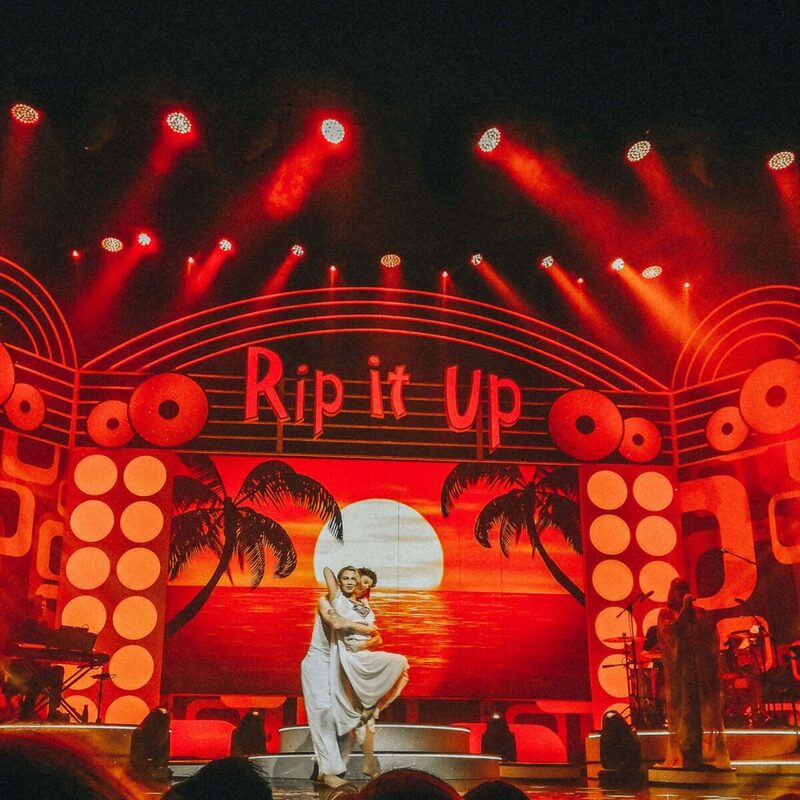 Whereas The Beatles musical, Let It Be, was essentially a concert, Sunny Afternoon had a storyline throughout. The song arrangements, costumes and dancing were spot on, and it was very funny too… everything you could want in a musical really, no wonder it won ‘the best new musical’ Olivier Award of 2015 (and 4 other Olivier awards!). Of course, all of the most well-known Kinks songs were featured, including You Really Got Me, Lola, Waterloo Sunset and Sunny Afternoon itself. 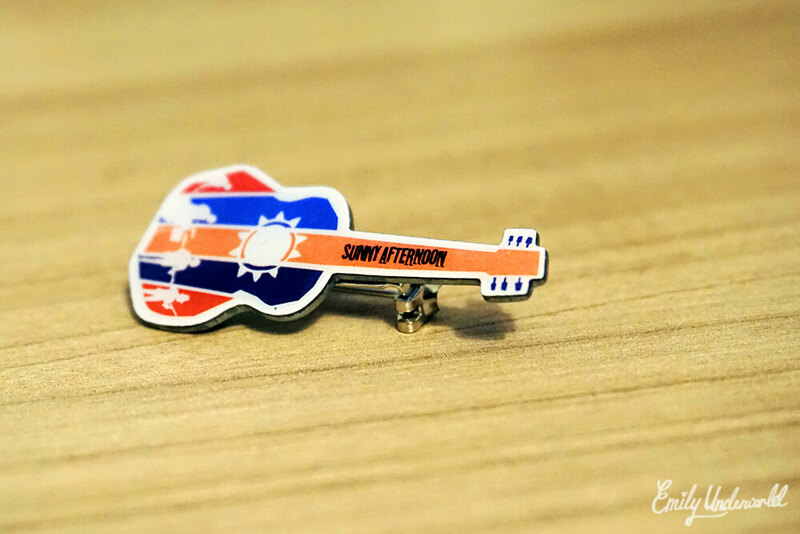 I went to the concessions stand after the show to pick up a poster, but they’d run out, so I got this cute little guitar pin badge for my denim jacket. 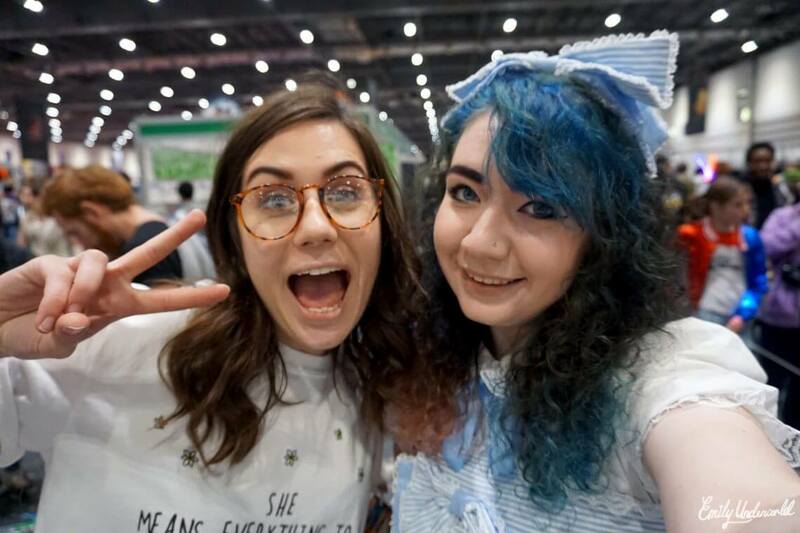 Overall, the show was fantastic and we had a lovely time. If you’re interested in The Kinks, the rock n’ roll scene or British music in general, I definitely recommend Sunny Afternoon. I’ve had the songs stuck in my head ever since! 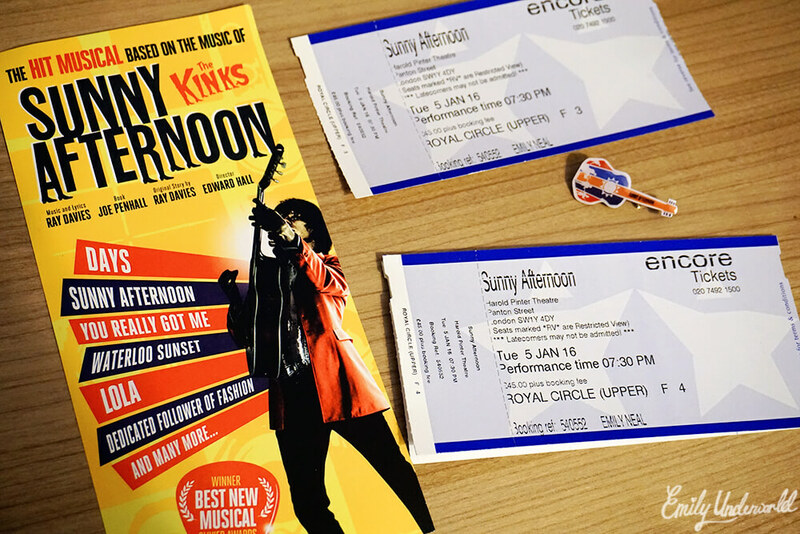 Make sure to check out Box Office UK if you’re looking for tickets to see Sunny Afternoon, the West End Musical, or any other London shows! *I received the tickets from Box Office UK in exchange for a review. 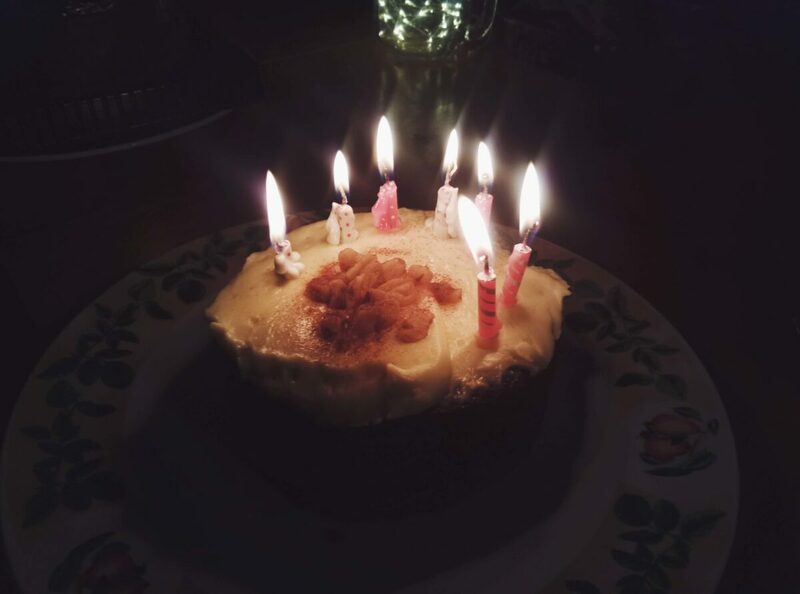 Previous Previous post: Snapshots from Rome!